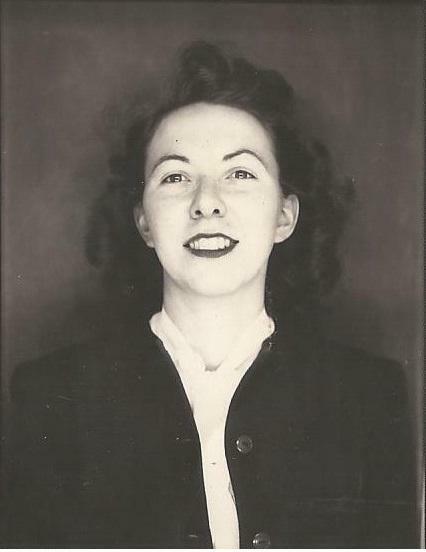 Raymond, Freda Grace “Sis”-Digby 1921-2013. Passed away peacefully at her residence in Halifax, Thursday June 6,2013. Born in Young’s Cove, Annapolis County, she was the daughter of the late Orris and Margaret Condon. Sis spent her childhood on a farm in Granville Centre where she grew up with her siblings, Marjorie, Curtis and little sister, Ruthie. Sadly, Ruthie died at the age of five which significantly changed their family life. After leaving school, Sis moved to Digby where she worked in retail and met and married our father, Keith. They built a life together in Centreville, Digby County where they operated a successful fish business and raised three daughters, Cathy, Janis and Melissa. Mom was always involved in the community mainly through the church and in politics as well. She was a Dominion Life member of the United Women’s Missionary Society, a faithful member of the Digby United Baptist Church and the Order of Eastern Star. Sis loved to garden, paint watercolors and read the latest fiction or non fiction including the classics. She had a display of bowling trophies much to the amazement of her grandchildren. She liked to discuss world events as well as the latest episode of Coronation Street. Sis enjoyed working on the New York Times puzzle religiously every weekend with her friend and neighbour Linda Black. After moving to Halifax five years ago, Sis became involved with the “Young at Heart” church group and knitted hats for the newborns at the IWK. At Cameron Hall, she made new friends and enjoyed her shopping outings and lunches with friends and family. Mom provided us with a strong, stable and loving family life which gave us the confidence to lead our adult lives. Hopefully, we have passed this on to her grandchildren who remember her being full of love and having a great sense of humour. Sis was blessed with nine grandchildren, Justin (Miriam Zitner), Jessica, Alexandra (Thomas Birchell) and Nicholas MacNutt; Kelsey, Liam(Julie Grant) and Erin (Pierre Paul Huet)Shannon ;Jordan(Jordana Soderman) and Vanessa Nicholson. She also leaves four darling little great granddaughters: Ella and Keira Huet, Montreal; Ayla Nicholson, Calgary and Zoe MacNutt, Halifax. She will be missed by her son-in laws, Michael MacNutt and Chris Nicholson. Also sister in laws Jean Raymond, Digby and Alice Condon, Granville Centre , brother in law Gerald ( Geneva) Raymond, Windsor, special nieces and nephews. Sis leaves many lifelong friends in Digby, Halifax and beyond. A special thank you is expressed to all of you who gave us such wonderful support during the past few weeks. She was predeceased by her husband Keith Raymond; son-in-law Stephen Shannon; sisters Marjorie Roberts, Ruthie Condon and brother Curtis Condon. A service was held at Digby United Baptist Church, Montague Row, Digby, Nova Scotia on Monday ,June10 at 11, a.m. Funeral arrangements have been entrusted to J. A. Snows Funeral Home, 339 Lacewood Dr., Halifax. Family flowers only. Memorial donations may be made to the St. Mary’s Chapter #35 of the Eastern Star, Scholarship Fund C/O Amelia Whalley, Box 746, Digby, NS B0V 1A0 or to a charity of your choice.